Observing a total solar eclipse, 1851 (1857). 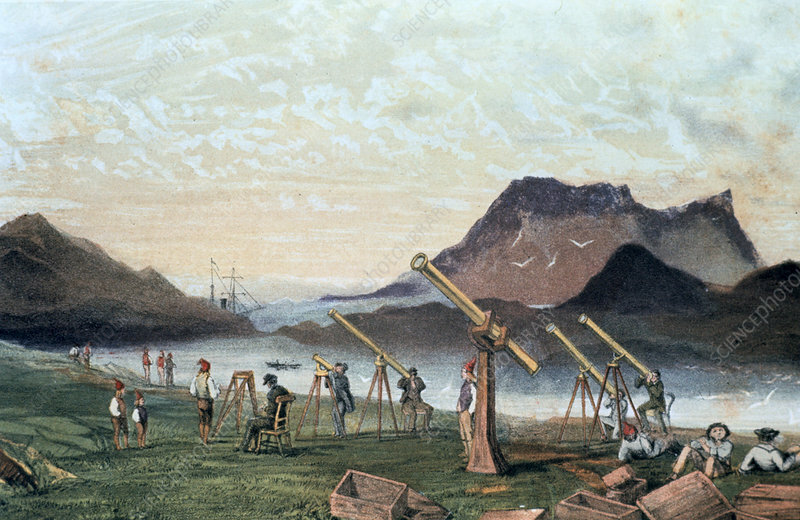 Members of the Edinburgh expedition on Bue Island, Norway, with their instruments set up ready for viewing the eclipse which occurred on 28 July 1851. Members of the crew from their transport vessel are seated on the right by empty packing cases. From Astronomical Observations made at the Royal Observatory, Edinburgh.